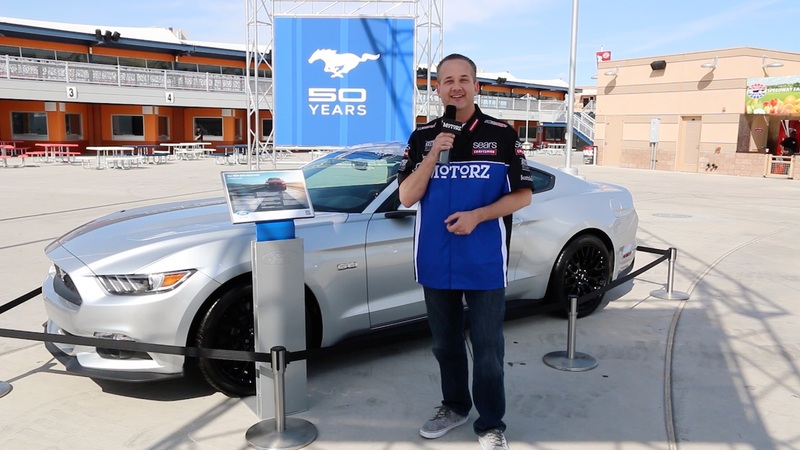 Chris Duke celebrates the 50th anniversary of the Ford Mustang. Today is a special day in Motorz history. Not only has our 80th episode arrived, but we are celebrating the 50th anniversary of the all time classic: the Ford Mustang. For as long as Motorz has been running, one of our absolute favorite cars has always been the iconic pony. It is not difficult to see why. Every chapter of the vehicle’s long and illustrious evolution is littered with landmarks, incredible achievements and ties to Americana. To celebrate this momentous history, from day one to Mach One and beyond, we’re highlighting all of the Motorz episodes that have featured the Mustang. From lowering (which we’ve done three times) to adding a new stereo, supercharger, air suspension and more, we have undertaken countless projects with America’s favorite muscle car. In Letterz, Chris answers viewer mail, and in Partz, Chris talks about Craftsman’s new Mach Series 3/8-inch drive ratchet, Covercraft’s Mustang 50th anniversary products (available only until the end of the year), and Ford Racing’s dual fuel pump kit for those Mustangs with more power! My all time favorite car!! Always wanted a fox body mustang GT or Cobra back in my teen years! When was the first mustang built? I love the ford mustang, I had my first mustang when I was 20 it was a 1998 red v6, which I bought in 2000 cause it looked cool. Coming from another country, Cuba, I was not familiar with the car at all; but after learning its history and everything this car has gone through, I fell in love with it. Currently I own a black 2014 gt, which I have to say looks amazing, but I’m a bit disappointed that ford and almost everyone else has made the 2015 mustang the 50th year edition, when in fact the 2014 is the 50th anniversary model. Also the fact that that generation has the retro style look, unlike the new 2015, ford should have made a special edition of the 2014, being that it was it’s last year. The new look hasn’t sinker in yet, again I’m a huge fan, and I do feel very connected with my car and I hope to see 50 more years of the Ford Mustang, truly and American Icon. Great channel uou guys have.